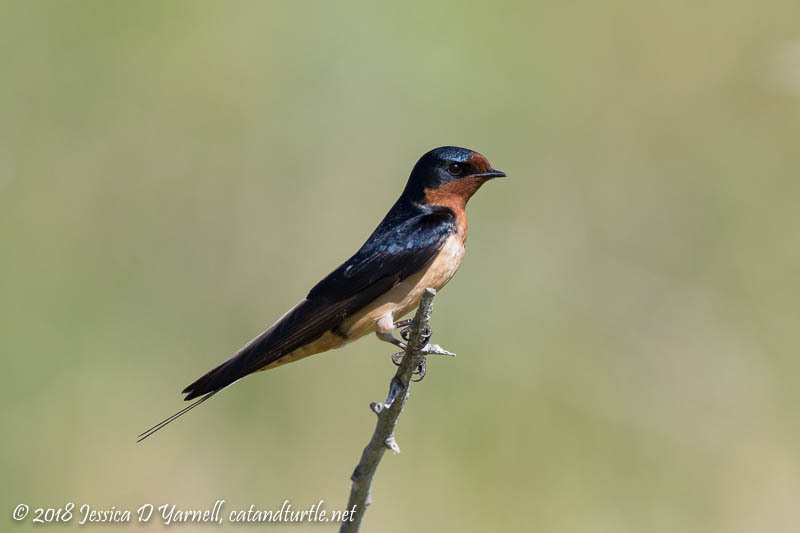 I saw these Bobolinks as I drove in through the Lust Gate. 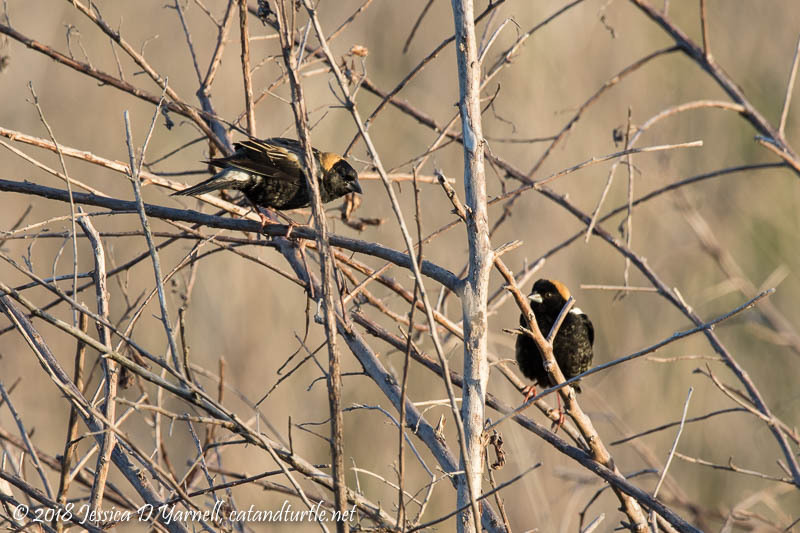 Bobolinks migrate through Florida each spring and fall. You often see them in large flocks. Or in my case, I heard them before I saw them. They were fairly far out in the field, but I didn’t recognize their calls, so I knew there were migrants around. They let me get a few quick snapshots before they flew farther away. 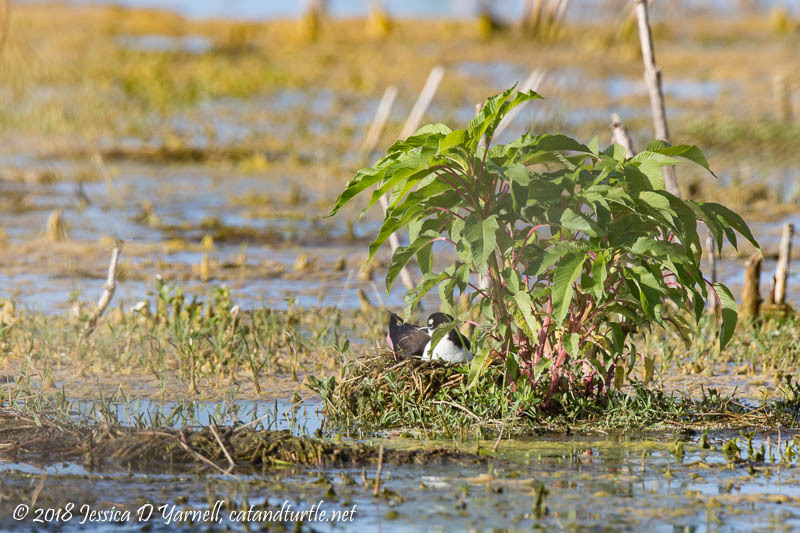 The Black-necked Stilts came back to Florida several weeks ago, and already they are settling down to nest. I spotted this nest off in the marsh. The bird’s mate stood on guard nearby. It’ll be fun to watch this nest and see the babies grow up! 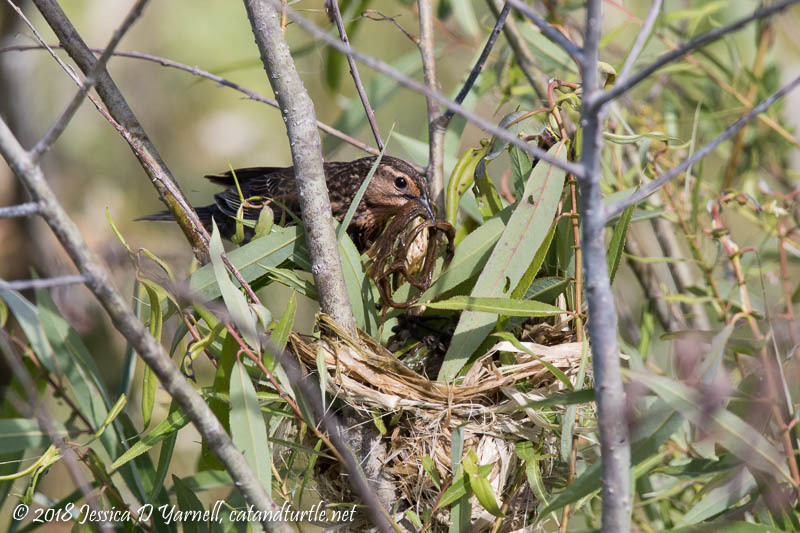 Here’s another Common Gallinule, this one on a nest. The nests are made on the ground out in the middle of the marsh. There isn’t a whole lot to protect the eggs from predators. 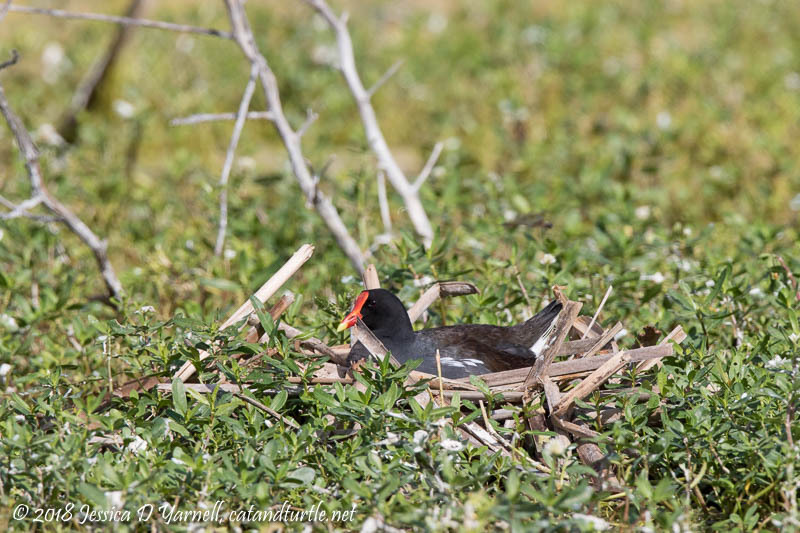 Maybe that’s why the gallinules lay several clutches of eggs every summer, and every clutch is pretty big. 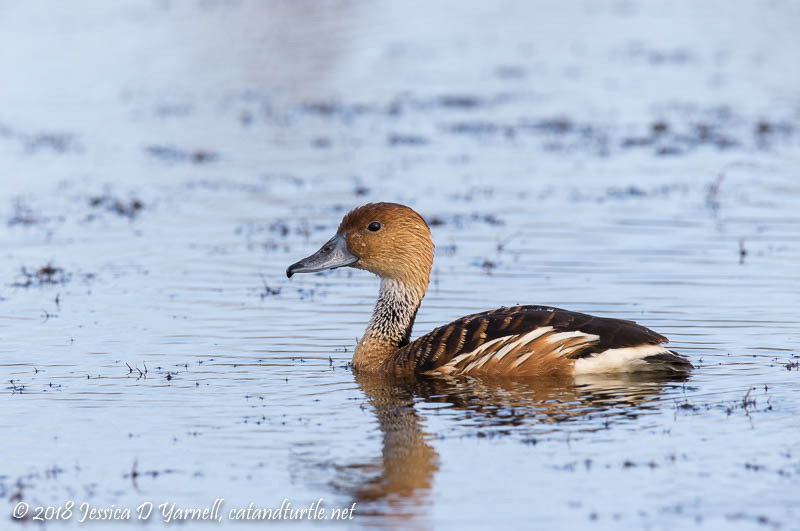 I was surprised to see a couple of Fulvous Whistling-ducks up close. They are very common at the drive, and I’ve seen groups of several hundreds of ducks fly in the air, but the marsh is big and the birds often hang out far away from the cars. (Smart birds.) I certainly didn’t mind a chance for a close-up. 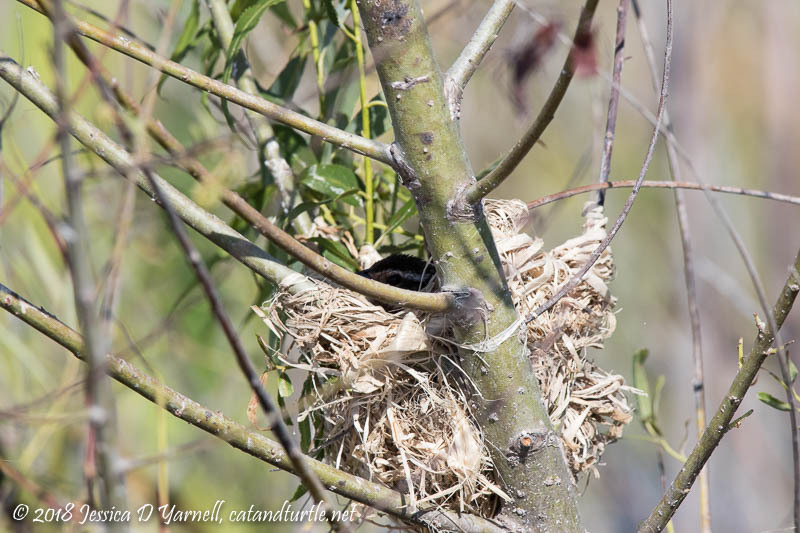 …and sometimes you have to look closely to see that the nest is already occupied! Simply a wonderful place to a morning, or a day, or a week….. Wonderful photographs! 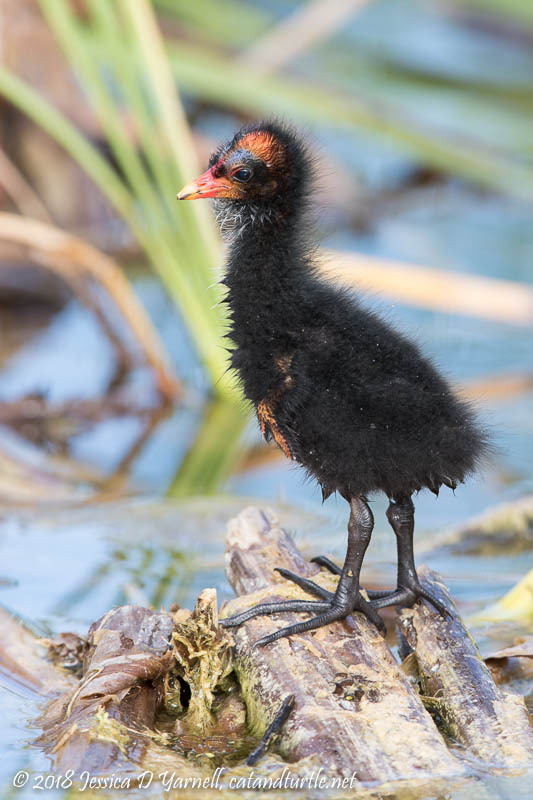 Love that gallinule chick with grown-up feet. And the Fulvous portrait is very nice! Can’t wait to get out there again. Love all of your sightings and images Jess! That looks like a great place for birding. I’ve been thinking a lot about you recently and hope that things are going well. Hugs.